GoAir has partnered with Paytm, Zoomcar and Lenskart to give this discount of up to Rs 2,500 on domestic flight tickets. GoAir's discount offer is valid till February 10, 2018. GoAir airlines is offering up to Rs 2,500 discount on its domestic flight tickets. GoAir has partnered with Paytm, Zoomcar and Lenskart to give this discount of up to Rs 2,500 on domestic flight tickets. GoAir's offer is valid till February 10, 2018. Customers can avail up to 10 per cent discount by using promo code 'GOAPP10' on the GoAir's mobile app. GoAir is offering up to Rs 250 cashback when payment is done via PayTm wallet. GoAir is also giving discount of up to Rs 1,200 on Zoomcar drive and Rs 1000 discount on Lenskart when booking is done via GoAir's website/app. GoAir's discount offer can be availed in the above listed four ways which together amounts to total discount of Rs 2,500. "With GoAir, it's always a good time to Fly Smart! Presenting a wide range of exciting offers, just for you. GoAir has partnered with Paytm, Zoomcar and Lenskart, so you can choose from a diverse variety of offers and discounts", GoAir said on its website-goair.in. According to GoAir, customers can avail up to 10 per cent discount by using promo code 'GOAPP10' on GoAir's mobile app. "Download the new app today and get up to 10 per cent off on booking", said GoAir. The booking period for this offer ends on January 31, 2018 travel period ends on August 10, 2018. However, this offer is not available on following dates: January 24, 2018 to January 28, 2018, February 23, 2018 to March 4, 2018, March 20, 2018 to April 4, 2018 and April 15, 2018 to July 15, 2018. GoAir's fare will reflect under GoSmart column. Under this offer, the airlines have limited seats. Group discount is not applicable on this offer. This offer cannot be clubbed with any other on-going promotional offer, said GoAir. GoAir is giving cashback of up to Rs 250 when payment is done via PayTm wallet, on a minimum purchase of Rs 2,000 on airlines' website or mobile app, said GoAir. This offer period ends on January 31, 2018. The Cashback amount is credited by Paytm customer's Paytm wallet within 2 working days from the date of payment. 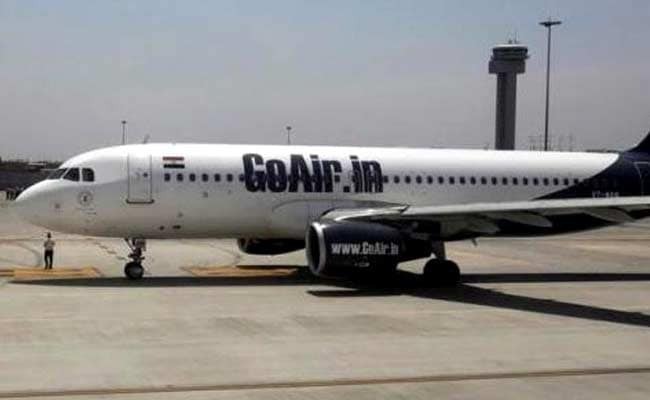 In case of cancellation of the booking, the entire cashback amount availed for the transaction will be deducted from the amount to be refunded, said GoAir. GoAir is offering maximum discount of up to Rs 1,200 or 20 per cent (whichever is lower) on Zoomcar drive when booking is done via GoAir's website or app. This offer is valid till February 4, 2018. The travel period for this offer ends on March 31, 2018. "Just book on GoAir.in or mobile app and look out for your promo code when you get your e-ticket", said GoAir on its website. The discount is available in form of vouchers worth Rs 1,200 which can be availed on Zoomcar's drive till April 30, 2018. GoAir is offering up to Rs 1,000 discount on Lenskart when booking is done via GoAir's website or app. The discount is available in form of vouchers worth Rs 1,000 which is applicable only on purchase of Rs 4,000 or above. The vouchers will be valid till March 31, 2018. However, discounts are applicable only on Vincent Chase and john Jacob. It is not valid on purchase of contact lenses, lens solution, FFF and accessories.